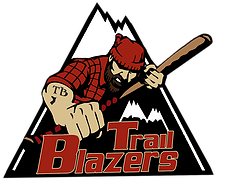 The Amsterdam Mohawks have the most players on the first team with four selections. The Mohawks set a PGCBL record with 40 wins this season—beating their record of 36 set during the 2014 season. 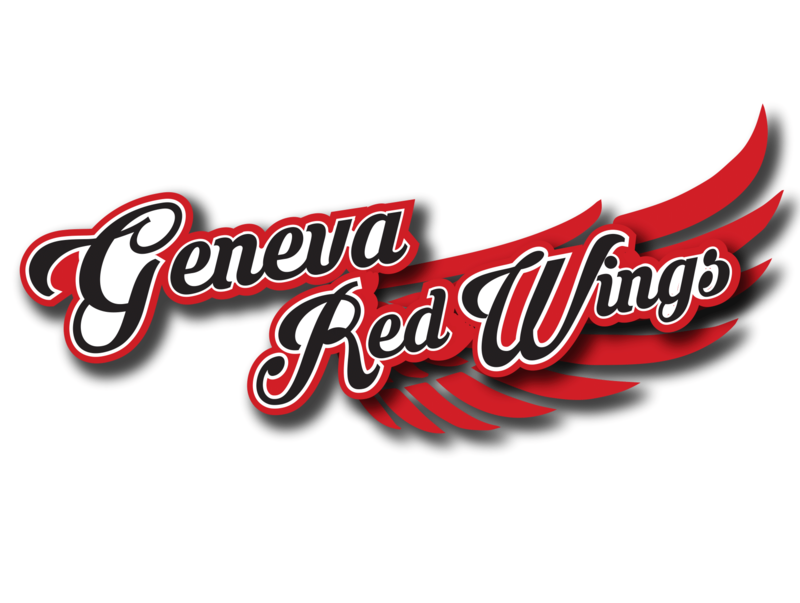 Elmira’s two selections are the most of any West Division team. PGCBL Player of the Year Christian Santisteban was named to the first team for the second-straight year. Co-Pitchers of the Year Zach Logue and Kyano Cummings were the two starting pitchers on the first team. 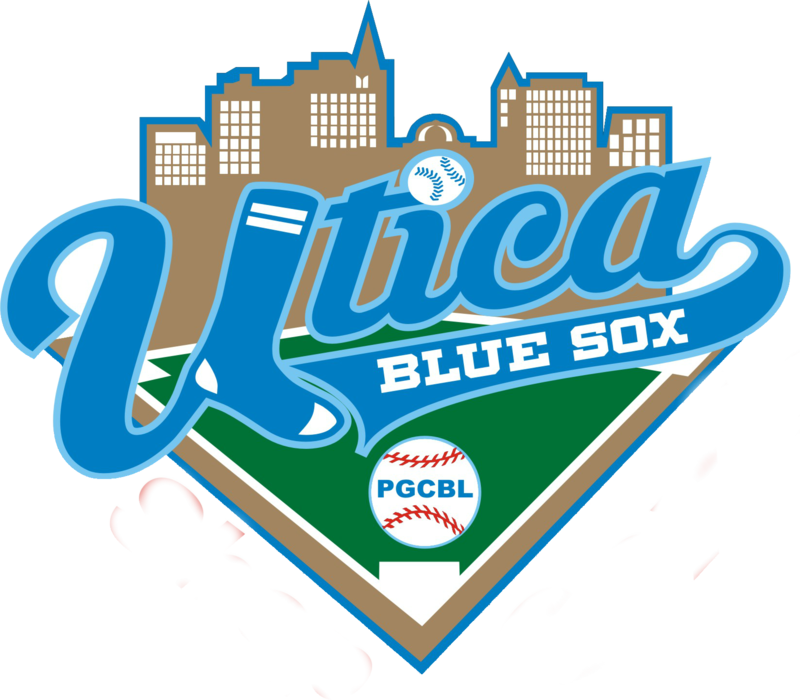 In total, eight of the 10 teams in the PGCBL had a representative named to the first team, which is voted on by the PGCBL Board of Directors. 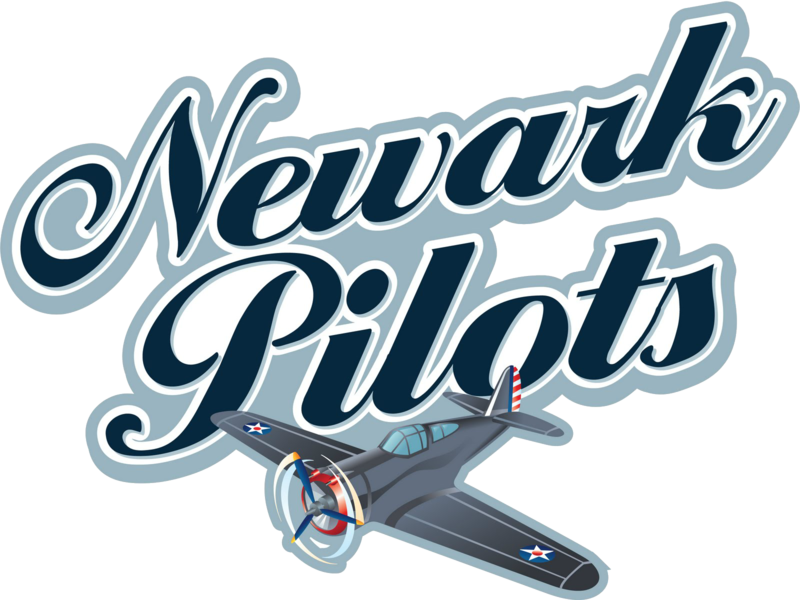 "It was good to watch these talented young players develop in the PGCBL this summer. I know many of them will soon be playing for a Major League organization,” said PGCBL President Jeff Kunion. Handsome Monica has been named to the All-PGCBL First Team after leading the league with nine home runs. The nine home runs are tied for the second-most in PGCBL history, trailing Erick Gaylord’s (Watertown 2011) and Luke Emling’s (Adirondack 2013) record of 10 long balls. Monica drove in 28 runs during the summer and also stole five bases. He totaled 18 extra base hits and had a .934 OPS. Christian Santisteban was named the 2015 PGCBL Player of the Year on Tuesday and now adds first team All-PGCBL to his resume. He was also a unanimous selection in 2014. 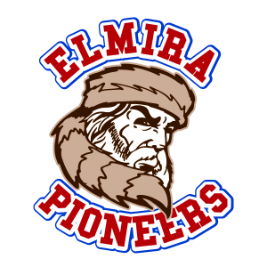 Santisteban led the Elmira Pioneers to their first West Division title as he hit .377 with six home runs and 38 RBIs. The Miami native finished second in the league in batting and tied for second in RBIs, while finishing tied for third with his six home runs. Outside of the Triple Crown categories, Santisteban scored 41 times (third in the league) and led the PGCBL with 58 hits and 43 walks. He also led the league in OPS at 1.123, which was boosted by a .532 on-base percentage that trails only 2014 Player of the Year Josh Gardiner’s mark of .543 as the highest in PGCBL history. Evan Fernandez finished with the third-highest batting average in the PGCBL as he was named to the All-PGCBL First Team. 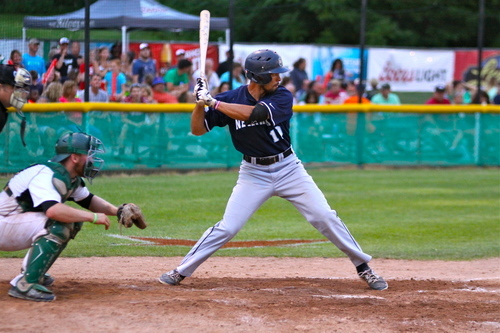 Fernandez hit .373 for the Victor RailRiders in leading the first-year team to the PGCBL Championship Series. The Jacksonville product clubbed two home runs and also stole 14 bases for Coach of the Year Dan Shwam’s squad . Fernandez’s best game this summer came on July 17 when he went 5-for-6 with two RBIs in a 10-9 win over the Albany Dutchmen. Chris Kwitzer has been named to the first team All-PGCBL after finishing in the top five in both batting average and Runs Created. Kwitzer had the fourth-highest batting average at .366 and “created” the fifth-most runs at 31.974. Those numbers come after the Buffalo product totaled 18 extra base hits, including 11 doubles and three home runs. Kwitzer also stole eight bases. Cody Wiktorski set a PGCBL record with 26 extra base hits, including 18 doubles, as he has been named to the first team All-PGCBL. Wiktorski hit .312 on the summer and the 18 doubles are the fourth-most in PGCBL history, while his four triples are tied for the fifth-most. The St. John Fisher product “created” 31.85 runs and had a .885 OPS. Hunter Tackett served as the leader of an Amsterdam offense that led the Mohawks to a PGCBL record 40 wins. The Auburn product was an all-around force, hitting .333 with seven home runs (tied for second in the league), 38 RBIs (also tied for second) and 22 stolen bases. Tackett drew 24 walks en route to a .434 on-base percentage and a .999 OPS. In three games in the postseason, Tackett hit .385. Troy Scocca, the anchor of a Mohawk Valley lineup that led the DiamondDawgs to their first PGCBL championship, has been named to the first team All-PGCBL. Scocca led the league with 40 RBIs and hit six home runs (tied for the third-most in the league). The Fairfield product hit .335 on the summer with a .965 OPS and “created” the second-most runs in the league with 36.984. Scocca also tied a PGCBL record with six triples. In Mohawk Valley’s six games en route to its championship, Scocca hit .348 with six RBIs. Ryan Hooper was an all-around star for the Glens Falls Dragons this summer, hitting .303 with five home runs, 23 RBIs and eight stolen bases for the Dragons. Hooper reached base nearly 44 percent of the time and finished with an OPS of 1.045. The UC Davis product had a multi-hit game in nearly a quarter of his total games played (eight in 33). Zach Remillard, who became the first position player to play three seasons in the PGCBL, has been named to the first team All-PGCBL for the second time. The Coastal Carolina product was also named to the first team in 2012. Remillard finished the 2015 summer with a .276 batting average, 20 RBIs, three home runs and five stolen bases. He also hit 10 doubles and “created” nearly 20 runs for Nick Davey’s club. Co-PGCBL Pitcher of the Year Zach Logue has been named to the first team All-PGCBL. Logue finished the summer with an undefeated 7-0 record with a 2.29 ERA and 50 strikeouts in 51 innings pitched. The Kentucky product appeared in nine games (all starts) and walked just 12 batters. 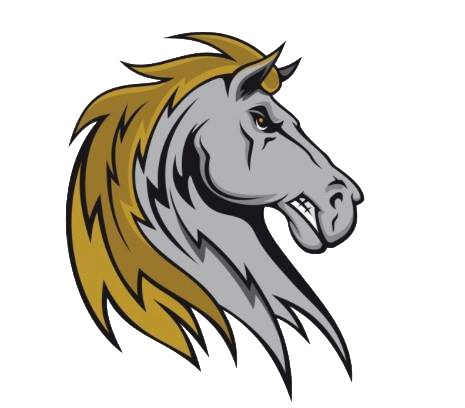 In his lone playoff start against Mohawk Valley in the East Division Championship Series, Logue got the win as he allowed one earned run in six innings of work with five strikeouts. He also started the All-Star Game for the East and opponents hit just .214 off him. Co-Pitcher of the Year Kyano Cummings is named to the All-League First Team after finishing in the top five in all three pitching Triple Crown categories, garnering five wins (tied for third), posting a 1.69 ERA (fourth) and tying the PGCBL strikeout record with 74. The 74 strikeouts were 18 more than the next closest pitcher. Opponents hit just .198 off the southpaw and he posted a 1.07 WHIP. Cummings struck out at least seven batters in every regular season start in which he tossed at least five innings, including two 10-strikeout games. Kyle Smith struck out 14.055 batters per nine innings—the second-most among relief pitchers—as he was named to the first team All-PGCBL. Smith appeared in 23 games and posted a 1-1 record with five saves, the third-most in the league. In 24.1 innings pitched, the righthander struck out 38 batters to 12 walks. Opponents hit just .193 against him in the regular season. The PGCBL is affiliated with Perfect Game, the largest independent scouting service in the country. Last year, more than 1,400 professional players had either worn the uniform of a PGCBL team or participated in a Perfect Game event.